Use – to separate and identify components of mixtures. Several different types - paper, thin layer, gas-liquid. 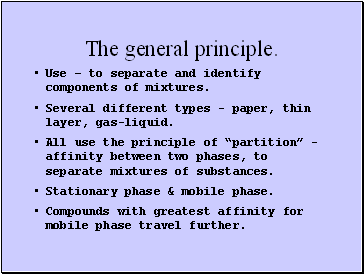 All use the principle of “partition” - affinity between two phases, to separate mixtures of substances. Stationary phase & mobile phase. Compounds with greatest affinity for mobile phase travel further. 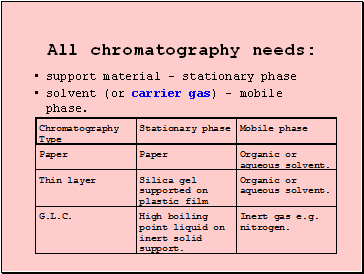 solvent (or carrier gas) – mobile phase. 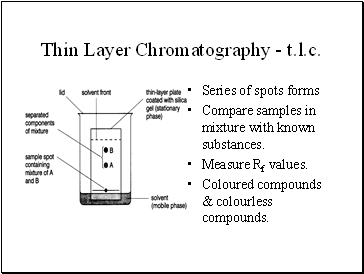 Thin Layer Chromatography - t.l.c. Compare samples in mixture with known substances. 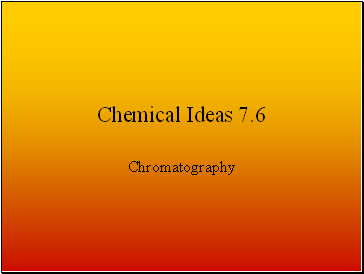 Coloured compounds & colourless compounds. 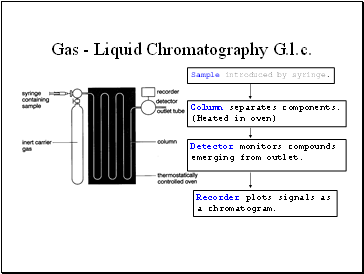 Gas - Liquid Chromatography G.l.c. 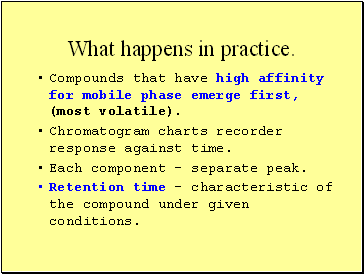 Compounds that have high affinity for mobile phase emerge first, (most volatile). Chromatogram charts recorder response against time. Each component - separate peak. 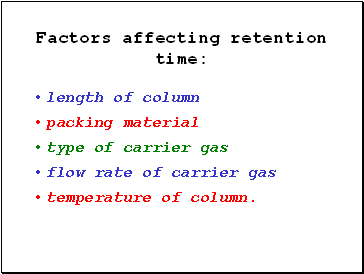 Retention time – characteristic of the compound under given conditions. 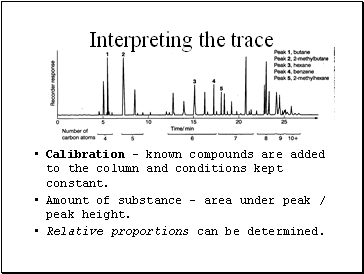 Calibration – known compounds are added to the column and conditions kept constant. Amount of substance – area under peak / peak height. Relative proportions can be determined. Very sensitive - small quantities of substances detected, explosives, drugs etc. 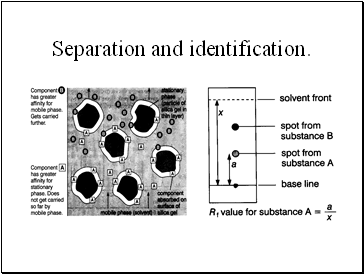 Separation of pure substances for collection. 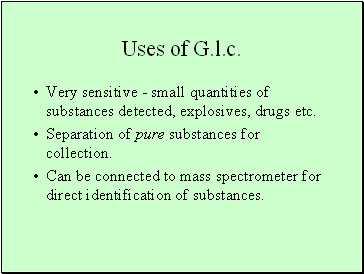 Can be connected to mass spectrometer for direct identification of substances.